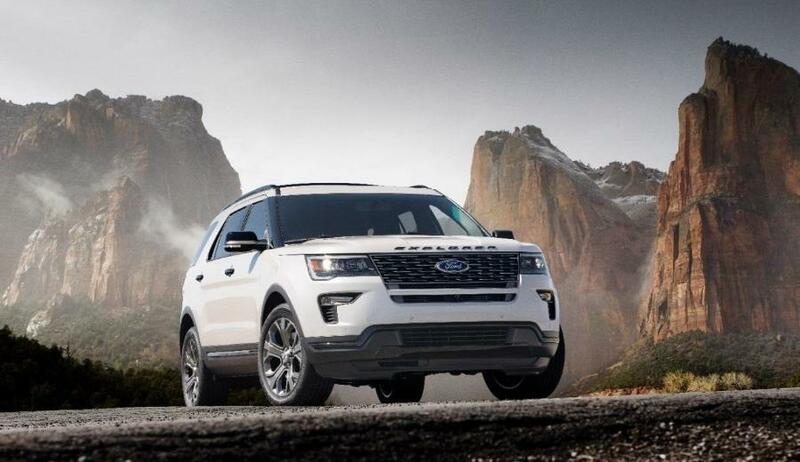 Ford sees the SUV segment growing further – accounting for more than 45 percent of the non-premium U.S. retail auto industry in the next five to seven years, hence the upgrade of the new and improved 2018 Ford Explorer. Coming this fall, the all new Ford Explorer is better than ever with freshened front and rear styling details, even better technology and more options than ever before. While the Ford Explorer has been ranked one of the top SUV’s in the last 25 years, Ford automakers continue to find ways to improve their ever-growing SUV class. With updated features like four new exterior color options, a new grille, new fog lamps and five new wheel choices. Along with enhanced looks the 2018 Ford Explorer also includes added power, which is offered by three different engines including a 2.3-liter EcoBoost® four-cylinder, which delivers 280 HP at 5,500 RPM and 310 lb.-ft. of torque at 3,000 RPM, a 3.5-liter V6, which offers 290 HP and 255 lb.-ft. of torque and a 3.5-liter twin-turbocharged EcoBoost V6 featuring new quad exhaust tips, which generates 365 HP at 5,500 RPM and 350 lb.-ft of torque at 3,500 RPM. •	Adaptive cruise control and collision warning with brake support uses radar to detect moving vehicles directly ahead, and changes cruising speed if necessary. •	Blind Spot System uses radar to trigger a warning when another motorist is in the driver’s blind spot. •	Cross-traffic alert uses radar to help alert drivers to oncoming traffic when backing out of a parking space. •	Lane-keeping system automatically detects left- and right-hand road lane markings using front camera system. A vibration in the steering wheel alerts the driver if the vehicle begins to drift out of its lane. This system also provides steering torque to help guide the vehicle back into the lane if needed. •	Active Park Assist which uses ultrasonic sensors and electric power-assisted steering to help drivers with parallel and perpendicular parking. •	Intelligent All-Wheel Drive with Terrain Management System which enables improved driving capability by sending power where needed. •	Auto high-beams use windshield-mounted cameras to automatically switch between high-beam and low-beam settings when oncoming traffic is detected. •	4G Embedded Modem that includes a Wi-Fi hotspot and supports as many as 10 devices at once – up to 50 feet away from the vehicle. •	SYNC Connect which allows owners to connect with Explorer remotely using FordPass to start, lock, unlock and locate their vehicle from almost anywhere – while also allowing access to important vehicle diagnostic information. You’ll see the 2018 Ford Explorer landing in the showrooms of each Southern California Ford Dealer this fall. Keep a close eye on our inventory, or give us a call to be the first in line for one of the most popular SUV’s on the market.